I am a clinician specialising in immunology and infectious diseases. My research training at the institute focuses on how the immune system interacts with the infectious agents that cause tuberculosis, leishmania and cryptococcosis. These microbes hide within cells, giving them protection from many of our immune defences. I am investigating how the immune system can be stimulated to fight these infections better. The diseases I study are significant global health burdens and cause millions of death worldwide, particularly in resource poor communities. I hope that my research will ultimately lead to improved strategies to treat these infections. The bacterium Mycobacterium tuberculosis, the parasite Leishmania spp, and the fungus Cryptococcus, are all intracellular pathogens of global health significance. The programmed cell death of infected cells has evolved as protective measure against intracellular pathogens. The microbes we study can prevent the death of their host cells, to enable their own survival and replication. The aim of my research is to understand how the immune system can be manipulated to promote the death of microbe-infected cells. We aim to use already available agents that target cell death pathways as immune modulators, and possible therapeutic agents in the management of these infections. 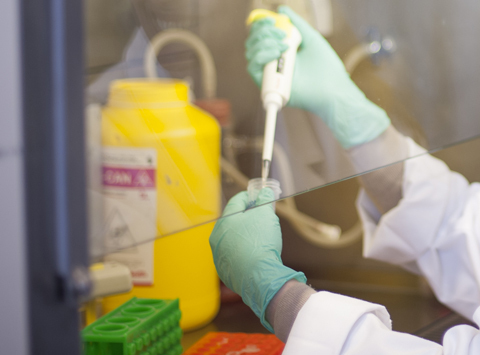 A short-term goal of our research is to gain insight into which cell death pathways are relevant to the infections we study. In the long term, we hope that targeting these pathways may provide novel mechanisms for treating these significant infections. International health officials recently warned of a “catastrophic threat” to human health, given one of the last remaining antibiotics capable of defeating superbugs – carbapenem antibiotics – is succumbing to the deadly bacteria.